There's more challenging and fun chess over the boards for players of all ages and skill levels, from beginners to masters and all in between, this Wednesday evening, February 27, 2019, at Starbucks, located at 1536 Kirker Pass Rd., Clayton, Calif. The session goes from 5:00 pm - 9:00 pm, but come anytime, the earlier the better for the better tables, more matches, and some really nice, interesting company! Play fun, challenging chess over the boards this Wednesday evening, February 20, 2019, at Starbucks, located at 1536 Kirker Pass Rd., Clayton, Calif., from 5:00 p.m. - 9:00 p.m.. Come by anytime, the earlier the better for the better tables, more matches, and some really nice company! Our last two sessions -- last Sunday at Panera Bread Restaurant and last Wednesday at Starbucks -- saw at least a couple dozen players enjoy chess. 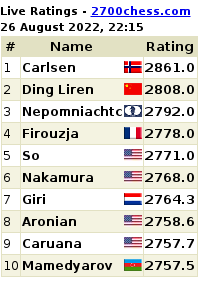 Players ranged from novices to masters, with some youngsters also game to play, and play well! At Panera Bread were newcomers Arman, Shiram and Paras, welcomed by Jon and Max, Mike T., Bob C., Reza, Tony T., Bernard, Dave, and Ronald. At Starbucks last week were Ronald, Andrew, Jonathan, Ann S., Bob C., Austin, Tony T., Mike T., Art S., Nessar, Rich K., John S., August and his brother plus a friend Tony, and John B. . . . and everyone's game seems to be getting better! Come on by, renew friendships, make new ones! CHESS at Panera Bread Restaurant this Sunday Feb. 17! Hi Everyone . . ! Just a short note reminder that there's chess over the boards this Sunday, February 17, 2019, at the Panera Bread Restaurant located at the corner of Bancroft Rd. and Treat Blvd. in Walnut Creek. The session goes from 2:00p.m. - 5:30 p.m. All ages and skill levels are welcome, from beginners to masters and all in between. Come anytime, the earlier the better, for better tables, more matches, and some very nice company!